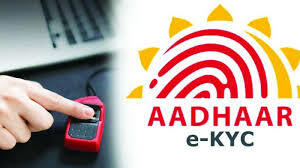 Post Supreme Court’s strong verdict on Aadhaar and its usage has compelled the Govt. to promote and encourage offline methods for performing KYC. Aadhaar based KYC, which is picking up momentum now, and Govt. is pushing them as well. 2 offline methods don’t require any biometric access and is considered 100% safe from hacking or stealing. Very few are aware about the QR code based KYC, which can be done for verifying Aadhaar data of any user. Hence, without sharing any biometric details, the user will be able to authenticate their Aadhaar, and perform the KYC, the offline way. Name, Address will be present by default. Other fields such as Mobile number, Date of birth, Email Address and gender are optional. Since the data is directly downloaded from the UIDAI website, there is no way 3rd party will need to access UIDAI servers to match the data. Hence, the authentication process is safe and secured. UIDAI won’t be able to know where and why the downloaded data (QR Codes, eKYC) is being used. It can be used for opening a new bank account or buying a new SIM. Hence, user privacy and user-data are safe. 3rd parties and private companies which are required to conduct KYC will no longer be able to store any Aadhaar data, atleast digitally. Hence, another round of data protection.